Revamping it all – home and garden – at the same time has a lot going for it. In the short-term, there’s only one set of mess and chaos to sort out and get over. And for the long-term, you can make sure that home and garden really mesh, giving you a much smoother living environment and more space. Current home and garden trends are coming together around a few key areas. And trends work well indoors and outdoors, blurring the boundary and giving you more physical and mental space. It’s a curvy world out there. Paths bend, water features are circular. Clipped shrubs are round. 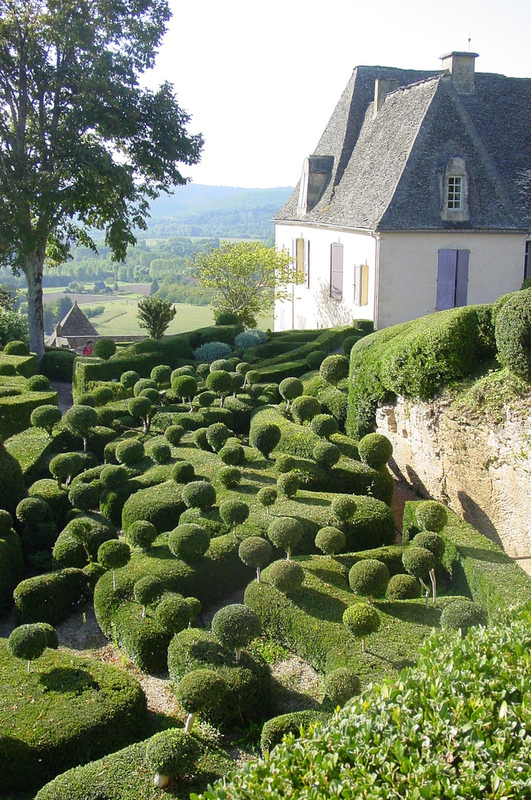 Box balls, for example, give structure and definition to the garden throughout the year. They still look good in winter, whether it’s grey or rainy, sleeting or snowing. © Sandra Fauconnier and re-used under CC BY 2.0 licence. Be tactile and appreciate rustic textures. Choose rounded containers in interesting metal with a handmade look. Brass or copper are good inside. Copper, zinc and rusty steel are all good for outside. And also outdoors, admire the freshness and texture of wooden fences, sheds and fence panels painted white to let the wood grain show through. Rattan is a great contemporary choice for tactile garden and conservatory furniture. Raw rattan is the source of wonderful textures – wood for furniture, and materials for weaving or wicker work. Indoors, clean and cool white contributes to understated design where your carefully chosen bright accents will really shine out. Outdoors, the same principle applies and we’ve already mentioned white wooden fences, sheds and fence panels. Don’t forget fresh vegetables, fruit and herbs. 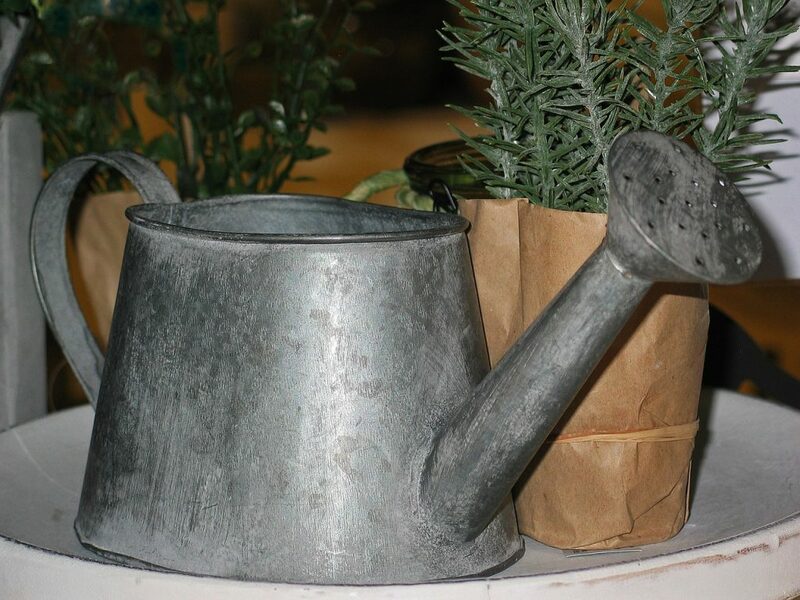 Growing your own can be very easy – garden centres have good plants available. Follow our gardening blog posts, of course, to keep up to the minute! Make the most of your space by giving vertical gardening a go. Your plants cascade in a ‘waterfall’ from wall-mounted planting pockets. You have the background and the good garden structure, so bring on the colour! Whatever the weather, eye-catching tropical colour brings everything alive. Dahlias, parrots and sunshine? Read on! Don’t forget the bright cushions! Putting Rattan Furniture on Artificial Grass, Decking or Patios – Where’s Best?